— A small white bag that was once used by Apollo 11 astronaut Neil Armstrong to hold the first-ever lunar samples to be collected from the surface of the moon is now at the center of not one, but two lawsuits over who owns it today. Roxana Hegeman with the Associated Press was the first to report the news of the lunar bag lawsuits. Thirty-four years after it was on the surface of the moon, on Dec. 18, 2003, the execution of a search warrant turned up the same sample return bag inside the Kansas garage of a space museum's former curator. 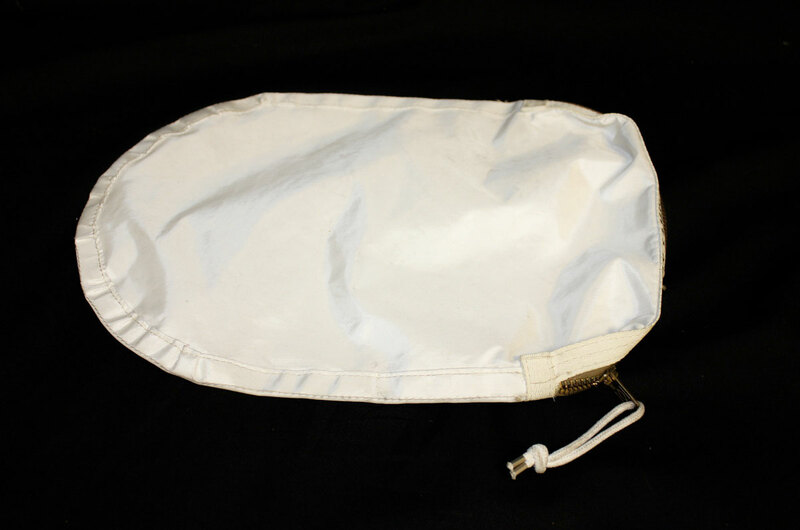 The lunar bag, which NASA long ago emptied of its moon rock stash, still bore small stains of lunar dust. 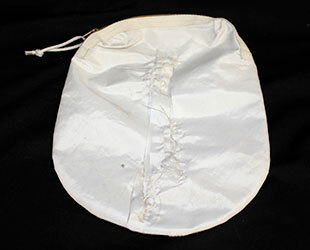 How the sample return bag ended up at Max Ary's home is not exactly known, but as a result of an apparent inventory error by the Cosmosphere in Hutchinson, Kansas, it was decided that the sack was not among the museum's space artifacts that Ary was later convicted of stealing and selling at auction. 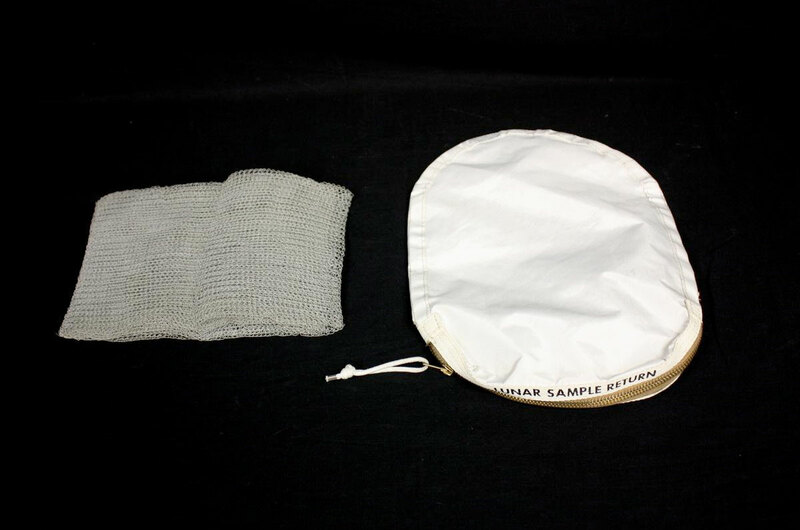 As such, the lunar sample bag was turned over by the U.S. Marshals Service to Gaston & Sheehan Auctioneers to be sold. 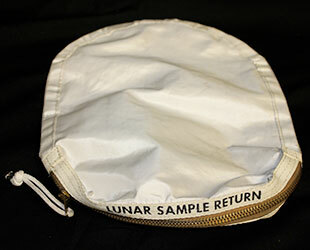 The Texas-based auction firm described the 11.5-inch-long (29 cm) pouch as containing lunar dust, but did not identify the Apollo mission on which it flew. Three times the bag was listed for auction, in April, August and October 2014, initially with an opening bid of $42,500, and each time it failed to attract a single bid. Then, on Feb. 17, 2015, Nancy Lee Carlson, an attorney from Inverness, Illinois, won the bag with a bid of just $995. 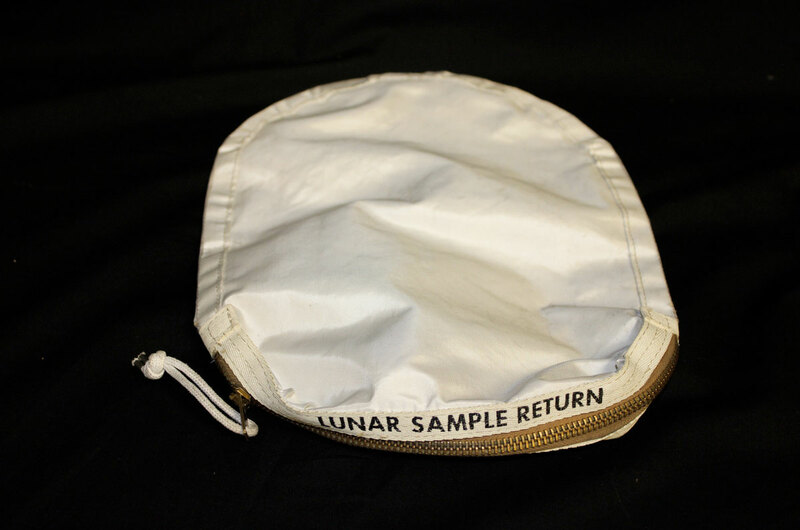 In August 2015, after taking ownership of the bag, Carlson made contact with Ryan Zeigler, the Apollo sample curator at NASA's Johnson Space Center in Houston, Texas, for help with verifying the lunar dust inside. 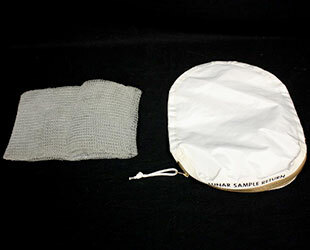 Carlson voluntarily submitted the bag for testing, which not only identified the dust as authentic, but also as originating from humanity's first moon landing mission. 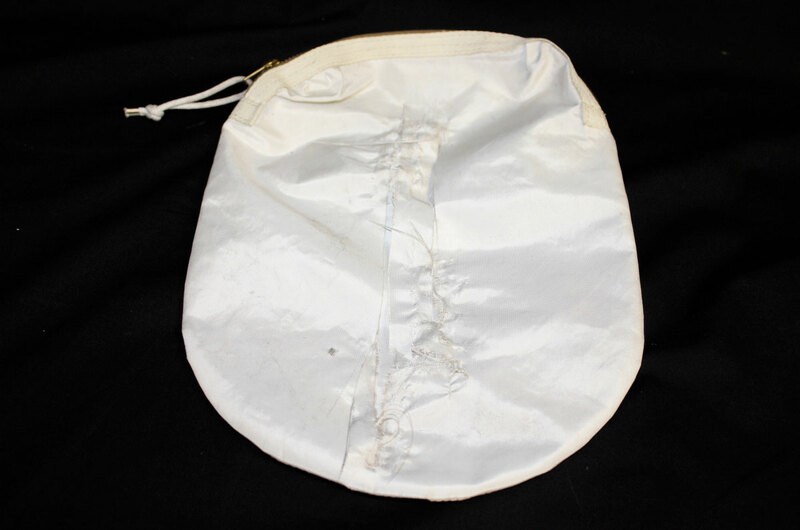 "It was not until NASA scientifically tested the bag that it was learned that the lunar bag, which had been forfeited and subsequently sold at the Gaston & Sheehan auction, was used on the Apollo 11 lunar mission," wrote Beall and Gurney. Prior to being contacted by Carlson, NASA was not aware of the forfeiture or auction of the bag. Usually, the agency would have been alerted, but in addition to not knowing of its Apollo 11 history, the Cosmosphere's inventory system had confused and conflated the bag with another one like it that had been flown on Apollo 17, the last moon landing. That other bag was among the artifacts that Ary had been found guilty of stealing and selling and, in fact, part of his restitution was to the person who voluntarily returned it to the Cosmosphere. As such, when the Apollo 11 bag was discovered in Ary's garage in 2003, it did not match any of the items identified as missing and so it went unreported. Now knowing what happened, NASA decided that the sale was a mistake. 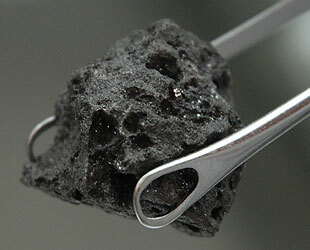 The agency retained the lunar sample bag, despite Carlson's request that it be returned. Gurney, acting on behalf of the government, attempted to settle with Carlson, offering to refund the auction payment and shipping fees, as well as pay an additional $1,000 "in appreciation for your assistance in returning the bag" and "to offset any inconvenience you may have suffered." Carlson rejected the government's offer, protesting what she described in a letter as the "unwarranted seizure of my personal property... without any legal provocation." On June 27, she filed a lawsuit against Ziegler and NASA Administrator Charles Bolden in the U.S. District Court for the Northern District of Illinois for the return of the sample bag and compensatory damages. 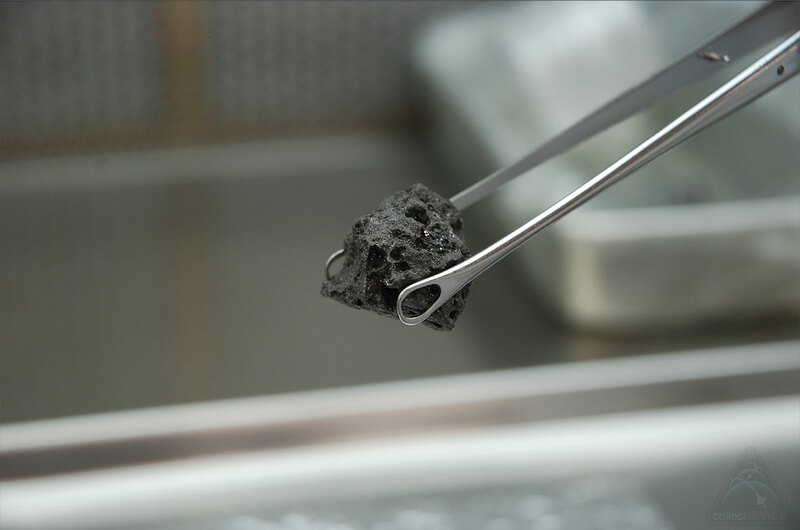 Just over a month later, on Wednesday (Aug. 3), Beall and Gurney filed a lawsuit against Ary, seeking the court to set aside the earlier forfeiture and rescind the sale of the lunar sample return bag. "NASA was denied the opportunity to assert its interest in the lunar bag," the two attorneys wrote. "Had NASA been given notice of the forfeiture action and/or had all the facts about the lunar bag been known, the lunar [sample return] bag would never have gone to a government auction." 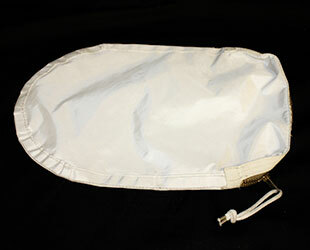 "The true identity and ownership of the lunar bag are now known. The failure to give proper notice to NASA can be corrected by setting aside the forfeiture and rescinding its sale," they stated. "These are unusual circumstances that warrant the particular relief sought."